Heat oven to 350°F. 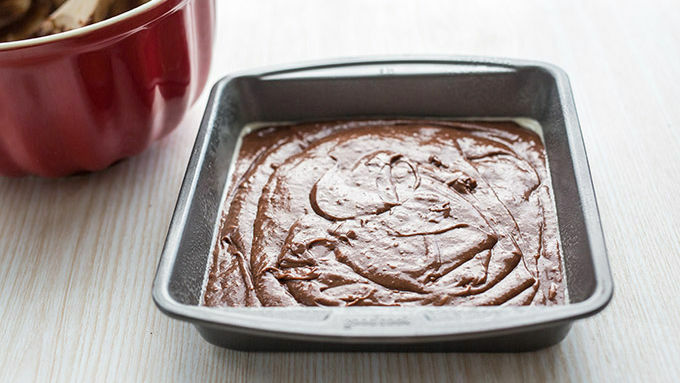 Spray an 8 x 8-inch baking dish with nonstick baking spray. In a large bowl, combine brownie mix, eggs, 1/2 cup softened butter and water. Stir until well mixed. Pour batter into prepared pan. Bake for 50-52 minutes, or until the center springs back when touched lightly. Remove and cool completely. In a microwave-safe bowl, microwave chocolate chips and 6 tablespoons butter together until melted. Stir until smooth. Spread on cooled brownies. 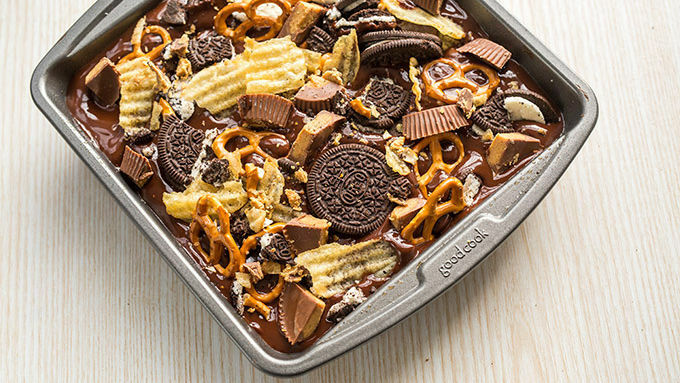 Top with Oreo™ cookies, potato chips, pretzel twists and peanut butter cups. Place in fridge until chocolate topping sets. Slice into 9 pieces with a sharp knife. Serve and enjoy. When it comes to treats, do you go salty or sweet? We say—why should you have to decide? 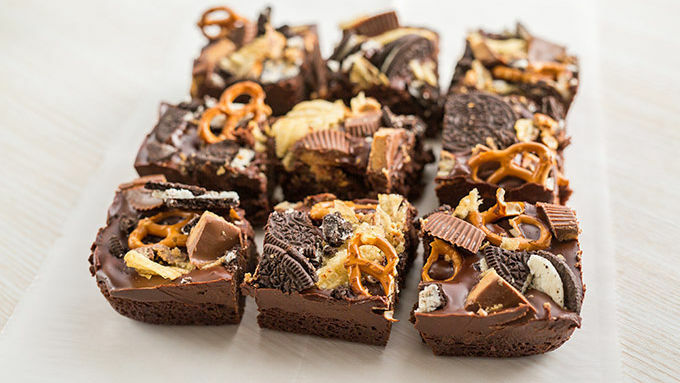 In a brainstorm of epic proportions, we wondered if a pan of perfect fudgy brownies, topped with everything-under-the-sun, plus-everything-else-under-the-sun, would make an even more perfect batch of brownies. And hoo boy. Were we ever right. Sure, you’ve got your favorite family recipe. And you’ve got that bakery down the street that makes a pretty good gourmet bite. BUT DESE BROWNIES. They are life. They are better than a boyfriend. They are all the cute kitten videos and unicorn memes on the internet, covered in chocolate. They are the ultimate dessert based on your astrological sign (whatever that may be). And things like that, which aren’t even things, and make us forget what we are saying. So anyway. 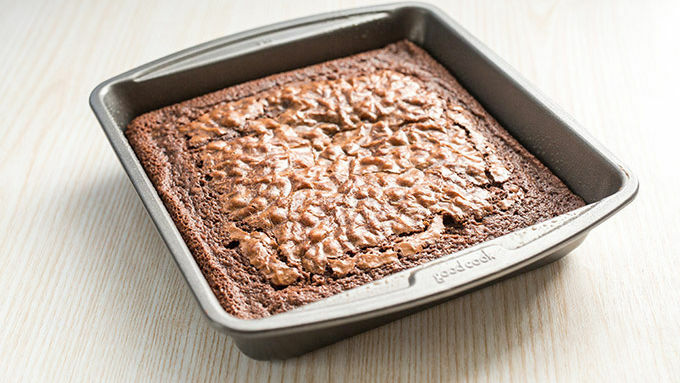 If you’re sitting in your house wondering what to make for dessert tonight, I have two words for you: DESE BROWNIES. Rich and chocolatey brownies, topped with a truffle-inspired frosting, loaded with all of the things you love—both salty and sweet. THEY ARE THE BEST BROWNIES EVER. We will now be diving into our batch, while you go prep one of your own. Yay for you! Yay for us! And yay for Kitchen Sink Brownies. When it comes to treats, do you go salty or sweet? We say—why should you have to decide? 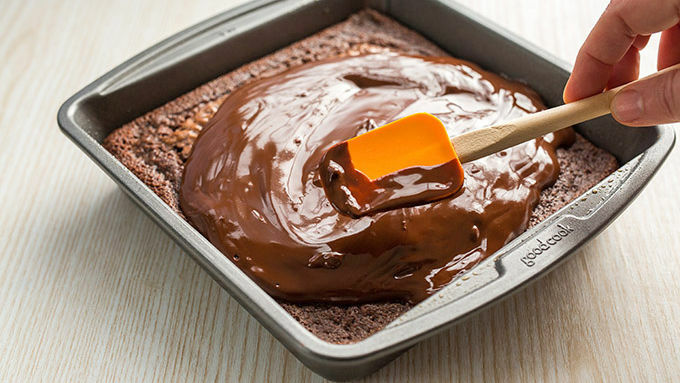 In a brainstorm of epic proportions, we wondered if a pan of perfect fudgy brownies, topped with everything-under-the-sun, plus-everything-else-under-the-sun, would make an even more perfect batch of brownies. And hoo boy. Were we ever right. Sure, you’ve got your favorite family recipe. And you’ve got that bakery down the street that makes a pretty good gourmet bite. BUT DESE BROWNIES. They are life. They are better than a boyfriend. They are all the cute kitten videos and unicorn memes on the internet, covered in chocolate. They are the ultimate dessert based on your astrological sign (whatever that may be). And things like that, which aren’t even things, and make us forget what we are saying. So anyway. 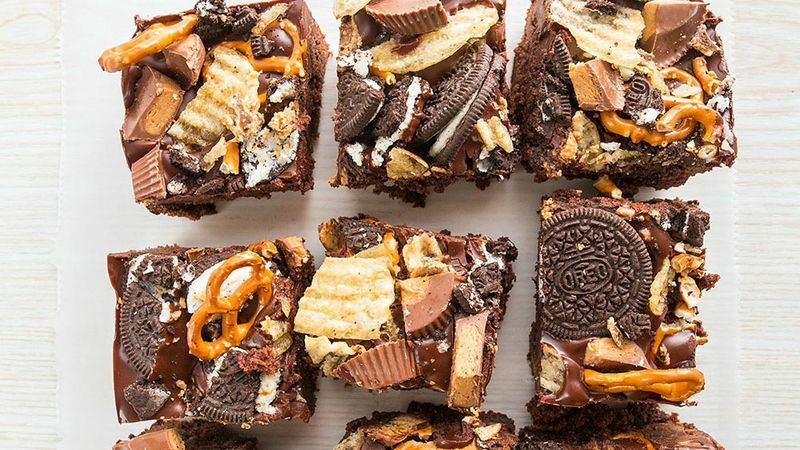 If you’re sitting in your house wondering what to make for dessert tonight, I have two words for you: DESE BROWNIES. Rich and chocolatey brownies, topped with a truffle-inspired frosting, loaded with all of the things you love—both salty and sweet. THEY ARE THE BEST BROWNIES EVER. We will now be diving into our batch, while you go prep one of your own. Yay for you! Yay for us! And yay for Kitchen Sink Brownies.